The Hull Vane developed out of Peter van Oossanen’s design for the keel winglets on Australia II that won the America’s Cup in 1983. Consisting of a foil positioned below the transom of a ship or yacht by means of struts or sponsons, it serves to change the pressure distribution on the hull and generate a thrust force, thereby reducing the resistance and fuel consumption. Pitching and yawing are also reduced, which increases onboard comfort and operability of the vessel. 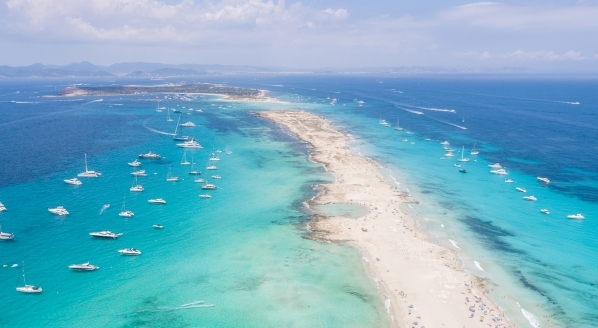 The patent-protected invention now constitutes a separate business wing for the Dutch firm of naval architects, which celebrates its 25th anniversary this month. 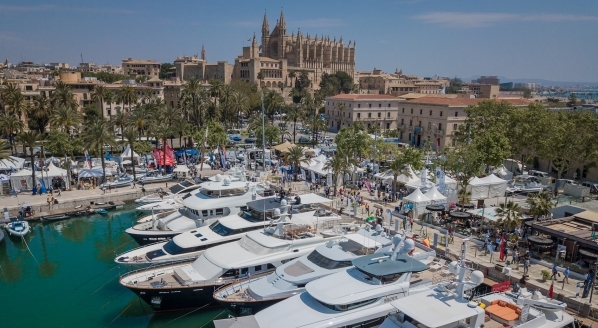 The Maritime Innovation Award is presented by the Royal Institution of Naval Architects (RINA) in association with QinetiQ, to acknowledge outstanding scientific or technological research in the areas of hydrodynamics, propulsion, structures and materials. 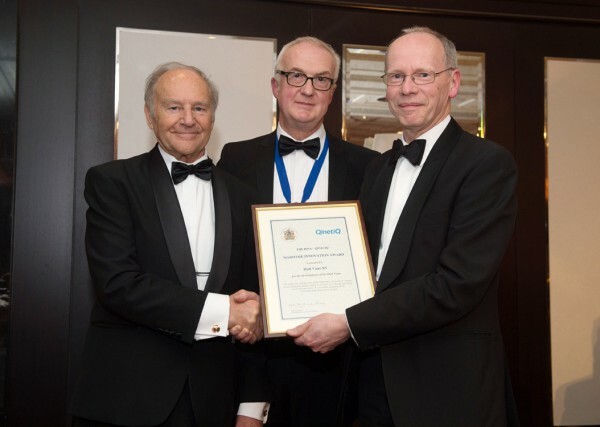 Peter van Oossanen (pictured left) received the award from Ron Finlayson, Strategic Business Director of Qinetiq, during the Annual Dinner in London on the 27th of April 2017. 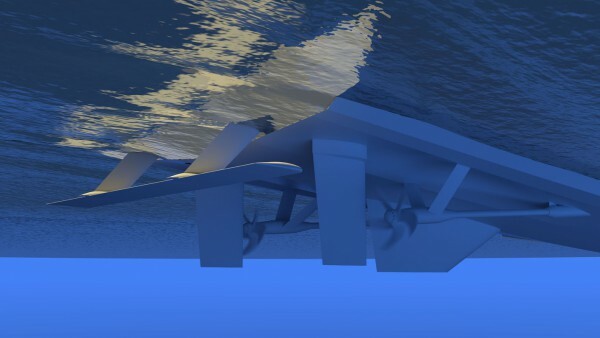 The jury praised the Hull Vane for its simplicity and effectiveness, and stated that solutions like it are needed to reduce costs and the CO2 footprint of vessels. 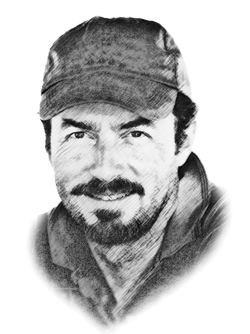 A lot has happened to revive interest in energy-saving devices: the IMO fixed the date for the global use of low-sulphur fuels in 2020, and there is no doubt this will increase the price of marine fuels globally. The first superyacht builder to introduce the Hull Vane was Heesen Yachts with 42m M/Y Alive (pictured) in 2014. Fitted with both a Fast Displacement Hull Form (FDHF) and the Hull Vane, Heesen claims that the combination offers fuel savings of up to 30 per cent. It is worth pointing out, however, that although Van Oossanen were the first to patent the technology, the concept is not entirely new. Some 25 years ago, Martin Francis introduced a fixed hydrofoil under the transom of 75m Eco (now Enigma). 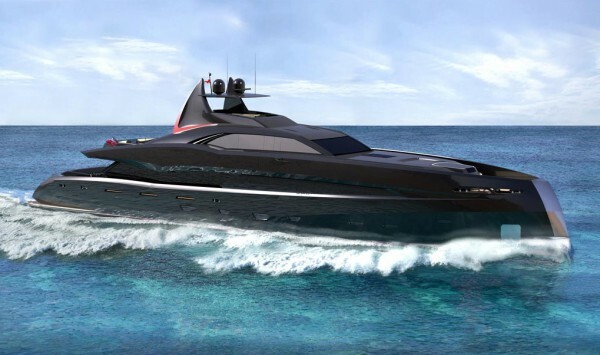 The device generated 120 tons of lift, reducing drag and enhancing the performance of the gas-turbine, waterjet-powered yacht at both cruising and top speeds. 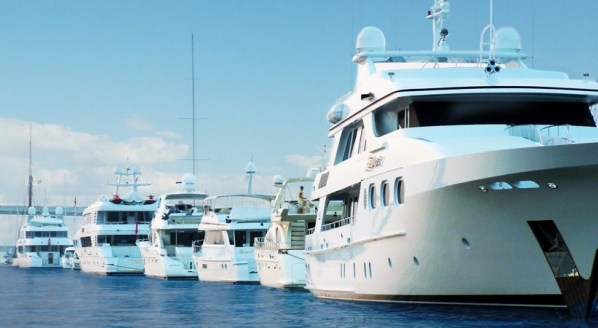 Van Oossanen has sold 10 contracts for the Hull Vane in the military, commercial and superyacht sectors. 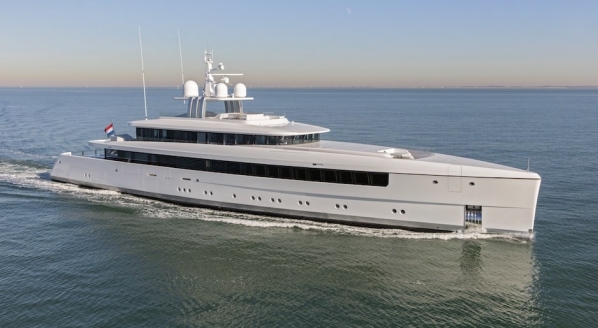 The latest yacht project to feature the device is the 46m Gotham Project (pictured) designed by Ivan Erdevicki, in build at Icon Yachts in the Netherlands. 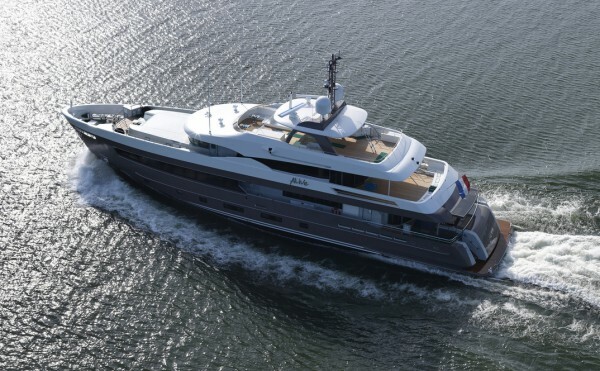 It has also been retrofitted to a 36m motoryacht, designed in 2012 by Van Oossanen, to reduce fuel consumption and increase range by 25 per cent.